TalkTalk acquires Blinkbox Movies from Tesco | What Hi-Fi? 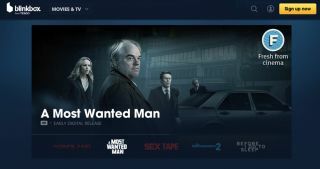 Blinkbox Movies has a new owner in the form of TalkTalk, with the communications provider purchasing the film and TV programme streaming service from supermarket giant Tesco. The service has been purchased free of debt for a reported £5m, with the acquisition strengthening TalkTalk's multi-platform offer and helping Tesco amid its financial struggles. In addition to taking on Blinkbox Movies as a streaming service, the deal also sees TalkTalk acquire Tesco's 75,000 broadband internet and 20,000 voice subscribers across the UK. MORE: Blinkbox introduces UltraViolet digital TV and film "locker service"
TalkTalk is one of the fastest growing TV platforms and has more than 1.2 million customers on its books, with Blinkbox to be integrated into its existing TV business "immediately". Blinkbox CEO and co-founder Adrian Letts moves to TalkTalk as managing director for TV, with the company hoping to see further development of its television platform as a result. TalkTalk CEO Dido Harding said: "We are excited about the opportunity that Blinkbox’s platform and technology expertise bring, and which will significantly accelerate the development of our TV platform.